I found this cute octagonal placemat at the dollar store and I immediately envisioned it as a pleated clutch. Then I found a dollar store purse with hoop handles so I picked it up to cannibalize for its hoops (maybe I’ll repurpose the cheapo fabric part too, but that’s another project). I’ve had the placemat in my dollar store crafting stash for a couple months and decided that yesterday was the day I would transform it into the clutch it had always wanted to be. Because the placemat has finished edges, there is only a minimal amount of sewing necessary, and adding the hoops attached with ribbon is really the only slightly tricky thing (but it’s really not). 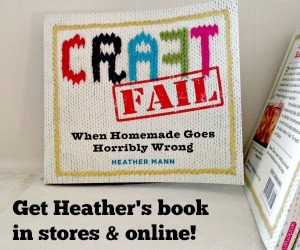 If you are a beginning seamster, this project is totally appropriate for you! 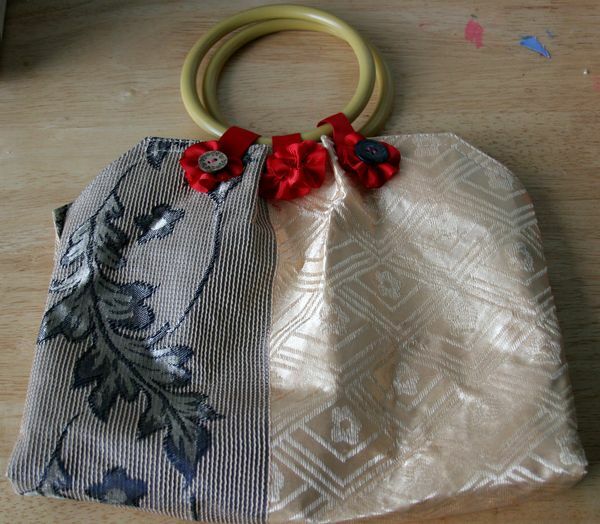 I love that I can spend a buck on a hoop-handled purse at the dollar store and not have to spend five or more dollars at the craft store for those hoop parts! 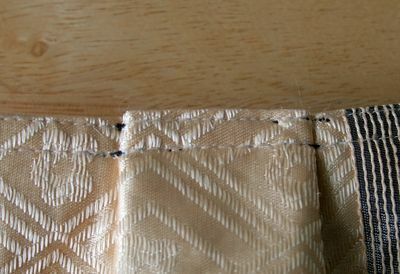 Fold outside pins under inner pins into a pleat on each side. 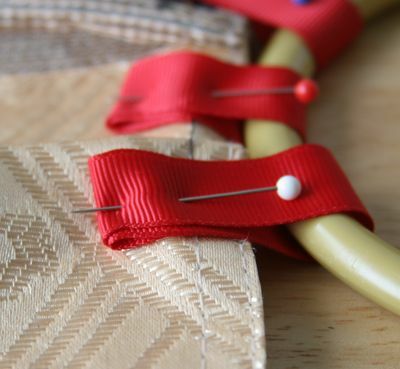 Remove marking pins and just pin the pleat. Remember to pleat both short ends of the placemat. 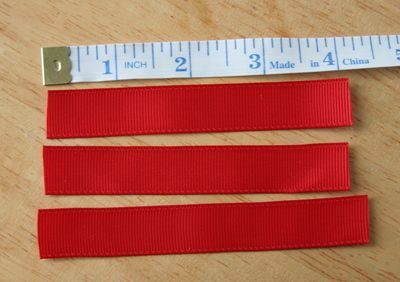 For each side, measure three pieces of ribbon approximately 4″. 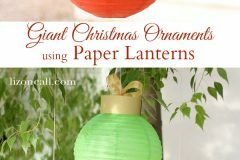 You can use a match or lighter to seal the edges of the ribbon so they won’t unravel. This sounds a lot more intimidating than it is! Just barely touch the end near an open flame. 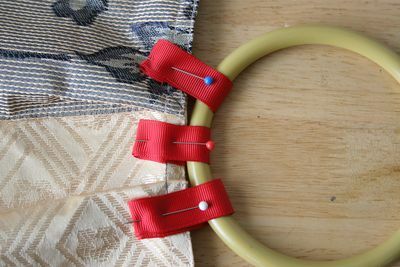 Fold the ribbon over the hoop and pin. I folded my raw edges under and pinned a 4x thickness of ribbon onto the fabric because I wanted extra reinforcement.Here’s a close-up of the folded-under edge of the ribbon. Repeat handle attachment for second end of the placemat. 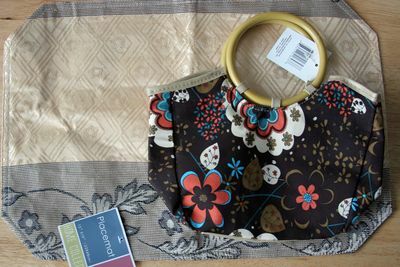 Sew ribbons to placemat. I sewed a box on the reinforced bit of ribbon just to make sure it was well attached. Excuse the black thread that was used for demonstrative purposes! 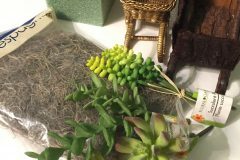 You will want to match thread if possible (or use the clear thread). Because the placemat already has finished edges, you can sew this together and not turn the whole thing inside-out when you’re done. Or you can turn it inside-out (as shown in final picture). It will work either way. Fold placemat in half, matching handles up. 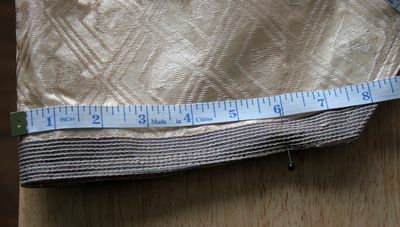 Measure 1-1/2″ down from edge of purse and mark with a pin. 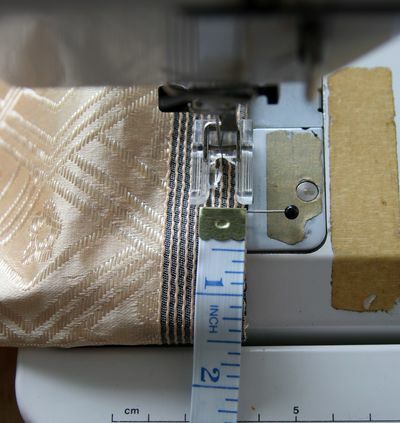 Measure 1-1/2″ from fold and mark with a second pin (more if you want a roomier purse). 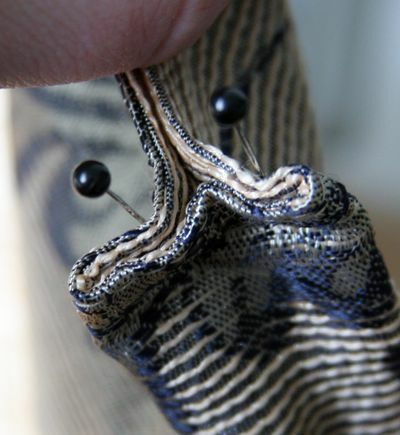 You will sew between the pins, reinforcing at each edge. Take unsewn gap at fold and pinch into a T-formation and pin, as shown. 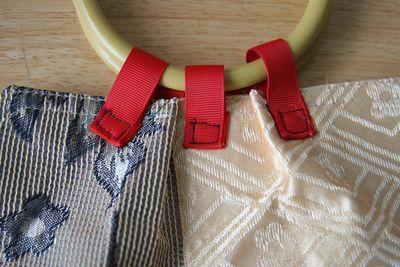 Sew each side of T together to form gusset. Your purse is done! Add embellishments if desired, like these ribbon rosettes. Here’s a second placement of the rosettes. 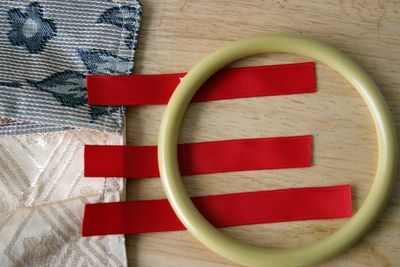 Finish edges of ribbon with match or lighter. 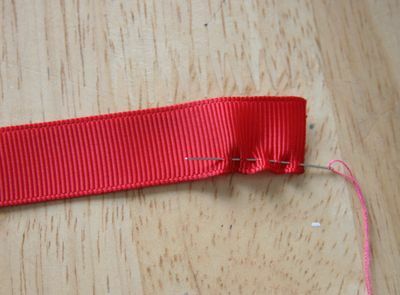 Take a 6″ length of ribbon and sew a running stitch through one long end of the ribbon. Curl into a rosette and sew ends together or coil into a more full rosette. 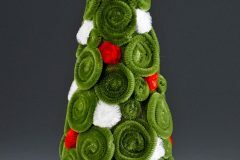 Attach a button to center of rosette if desired. 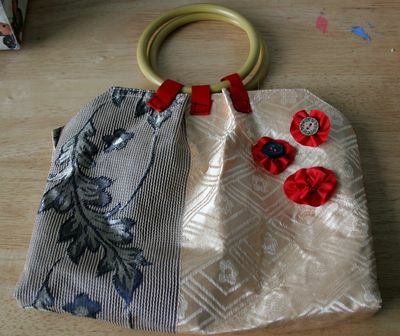 Sew onto purse or add pinbacks to rosettes to allow versatility of placement. 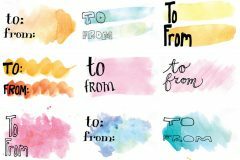 Not my style, but it looks great, and the tutorial is clear and easy to follow. Thanks! I will probably make some for the girls I babysit to play dress-up. Love it! I will be on the lookout for that sort of placemat now. great idea!!!!! 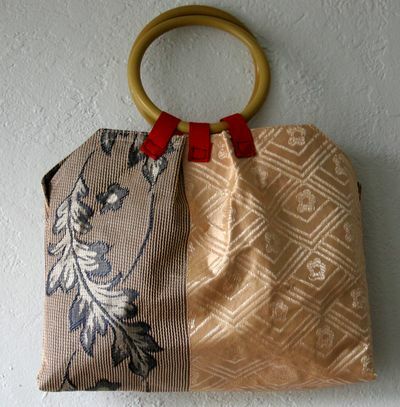 !simple and easy too..
What a cute bag. I love making things from placemats. Visit my blog, grannasdesigns.blogspot.com and check out the American Girl jacket that I made from 2 placemats that I found at the thrift store for 25c.